Call Jim Conard at (937) 974-7758 for more info or to schedule a showing. Contact Jon Murray at (937) 654-7355 for more information or to schedule a showing. Contact Team Agent Jim Conard at (937) 974-7758 for more information or to schedule a private showing. Contact Team Agent Todd Grandin at (937) 248-1535 for more information or to schedule a showing. 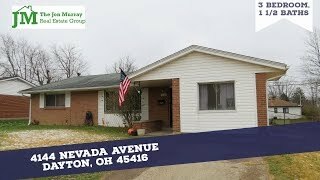 700 Beery Boulevard Union OH 45322 - This is an amazing bi-level with a huge yard! Contact Team Agent Sean Bergman at (937) 286-8772 for more info or to schedule a showing. Here's the one you have been waiting for! This gorgeous bi-level offers 1500 sq.ft. of living, 2 full bathrooms, a massive lot, tons of updates throughout, new roof, new siding, and huge family room. This home is located on a corner lot, so it has both a large backyard, and huge side-yard as well. 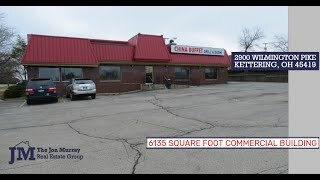 Located close to Union Community Park, East Park, Union Elementary, local shopping and restaurants, and easy access to I-70. South Diamond Mill Road Germantown OH 45327 - Beautiful 8 Acres - Valley View Schools for Sale! Go to http://www.JonMurrayRealEstateGroup.com/South-Diamond-Mill for more information and photos. Contact Team Agent Scott Moore (937) 414-5096 for more info or to schedule a showing! Hard to find acreage in Valley View school district; 8 acres to build your dream home with endless possibilities. Bring your own builder or we can help you find one. This is a nature lover’s dream, with a small section of woods, where you can enjoy all the deer and other amazing wildlife. SOLD! 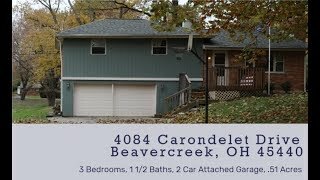 4084 Carondelet Drive Beavercreek OH 45440 - Beautiful home on a 1/2 Acre Lot! This is the one you have been waiting for! Beavercreek Schools, located on more than a half-acre lot. This house is waiting for you to call it home! You will be impressed once you notice the massive yard, the newer roof with three-dimensional shingles and a large back deck to gather with friends and family. The inside has updated windows and bathrooms, a nice area for weekend breakfast gatherings, a great size family room for your pool table and large screen tv for Sunday football games. You will love the natural light from the hallway sky light. Check out the picture of the Slip n’ Slide in the back yard for summer time fun; this fun feature stays with the house. Your future home has a newer furnace, water heater, and air conditioner. A quality riding mower and snow blower will stay with the house, as well. Seller is offering a home warranty for your peace of mind. Call for your private showing; I look forward to hearing from you. 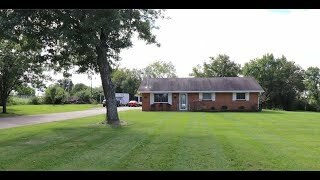 7212 Manning Rd Miamisburg OH 45342 - Looking for privacy in a country setting? THIS IS IT! Situated on almost an acre of gorgeous country side, this warm & cozy all brick 3-bedroom 2-bath home will be calling your name! You will be impressed from the moment you pull into the drive way lined with Bradford pear trees. Walking in the front door of this nearly 1500 sq ft home you will love the cozy wood burning stove on those chilly winter nights. This home has a completely updated bathroom, updated carpet, updated windows, new gutters, and new pressure tank. Wait until you see the back covered porch!! You will love sitting out overlooking your land with no rear neighbors, a wide variety of fruit trees, and your own little strawberry patch. Located in Miamisburg school system, this home will not last long. Hurry and call for your own private showing today! Welcome to Miamisburg City Schools. 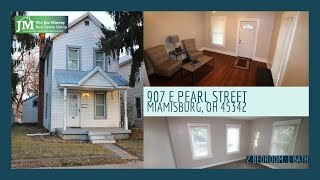 232 E 4th Street Greenville, OH 45331 - Incredible space in this gorgeous historic home! 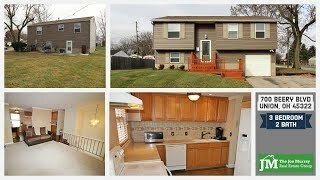 232 E 4th Street Greenville, OH 45331 $154,900. 5 Bedrooms, 2 ½ Baths, 2 Car Detached Garage. If you have been looking for a large turn of the century home that is loaded w/ character & charm, then look no further because your search is over. You will be impressed from the moment you pull up to this house & notice the large trees that were probably planted when this house was built. The whole house is stone all of the way around which is very rare to find. Don’t forget the clay tile on the house & garage. Talk about a unique home! The carriage house is set up as a two car garage w/ two barn doors plus there is a shed to the rear of the property the size of a one car garage. The yard is fenced in & there is additional parking in the back plus a private patio in the back in addition to the covered front porch. The inside of the house doesn’t disappoint either. Once you enter you will be wowed by the curved staircase! 5-6 bedrooms one of which is a master suite on the first floor. 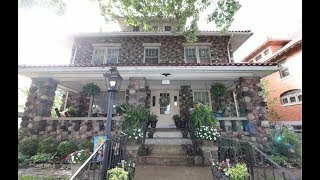 There is not enough room to say everything about this house so watch the video & see for yourself - then call for your private showing today! 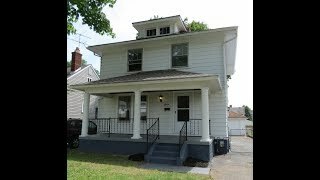 56 E Hillcrest Avenue Dayton OH 45405 - Beautiful Home with Tons of New Updates! Contact Team Agent Jim Conard at (937) 974-7758 for more information or to schedule a showing. Go to http://www.JonMurrayRealEstateGroup.com/1615-Norton for more info and photos. 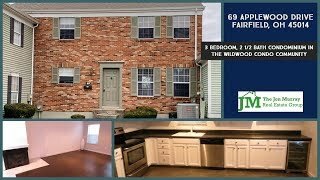 Contact Jon Murray at (937) 654-7355 for more information or to schedule a showing! Have real estate questions? Call us at (937) 654-7355! © 2019 The Jon Murray Group Disclaimer: All information deemed reliable but not guaranteed. All properties are subject to prior sale, change or withdrawal. Neither listing broker(s) or information provider(s) shall be responsible for any typographical errors, misinformation, misprints and shall be held totally harmless. Listing(s) information is provided for consumers personal, non-commercial use and may not be used for any purpose other than to identify prospective properties consumers may be interested in purchasing. Better Homes and Gardens® is a registered trademark of Meredith Corporation licensed to Better Homes and Gardens Real Estate LLC and used with permission. Equal Housing Opportunity.